Our crowdfunding campaign has ended, but you can still support Men's Club Soccer by clicking here. Soccer has always been an integral part of our lives. We grew up on grassy fields with cleats tied to our feet and shin guards strapped to our legs. We would come home with stains that never seemed to come off our jerseys and life lessons that cannot be taught anywhere else. Although many of us come from different backgrounds and pursue a variety of academic interests here at UCLA, what binds us all together is our passion for the game of soccer. We play for the love of the game and the constant need to have a soccer ball at our feet. Whether it was dealing with family issues, destressing after a ridiculously hard midterm, or just having a group of guys to laugh with; club soccer at UCLA has continued to make a huge impact on our lives. The UCLA Men’s Club Soccer team for the 2017-2018 season is looking more promising and motivated than ever! But we need your help. Nationals is being held in Phoenix, Arizona in mid-November this year and we plan on bringing 25 players to the tournament. Traveling to another state with that many guys has an expensive price tag on it. We estimate total travel costs to be $200 per player. If you do that math, this comes out to a total of $5,000 just for transportation! Unfortunately, most of us college students do not have that kind of money on hand. This is where you come in. 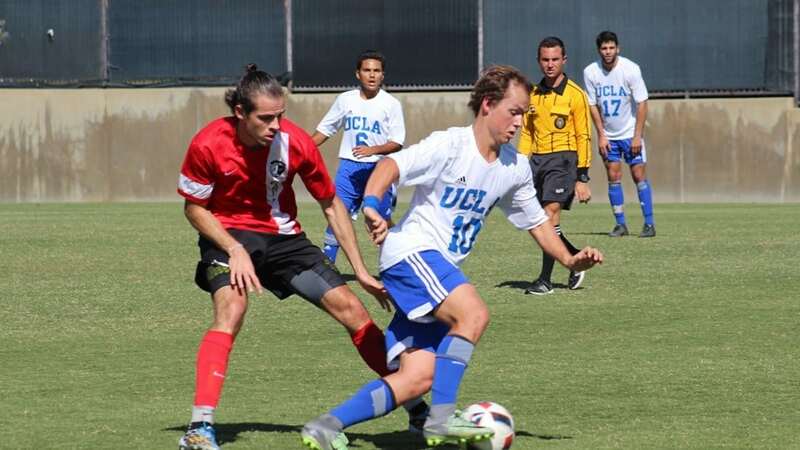 The UCLA Men's Club Soccer team is a student-run club that is not funded by UCLA. Almost all of our funds come from individual player contributions in the form of a surprise BruinBill charge of $600 or more at the end of the year, that some players cannot afford to pay. Our team has been dedicating numerous hours a week towards perfecting our craft in hopes of bringing home the National Championship. 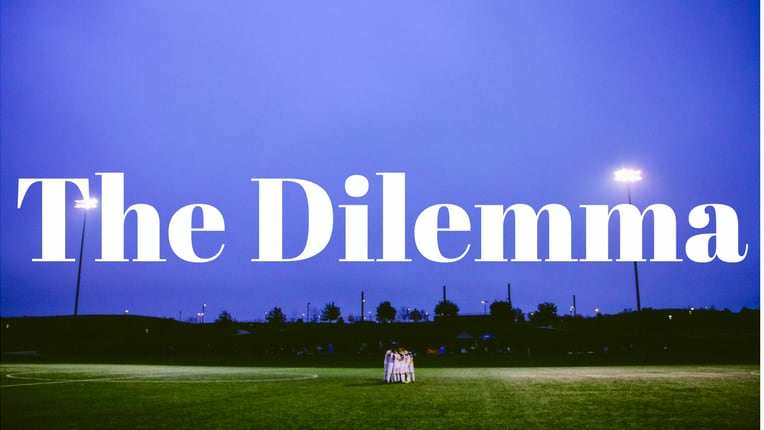 Managing soccer, school, work, and other clubs can be very stressful. That is why we do not want to add the financial stress associated with playing soccer at this level so that we can focus strictly on winning a National Championship. 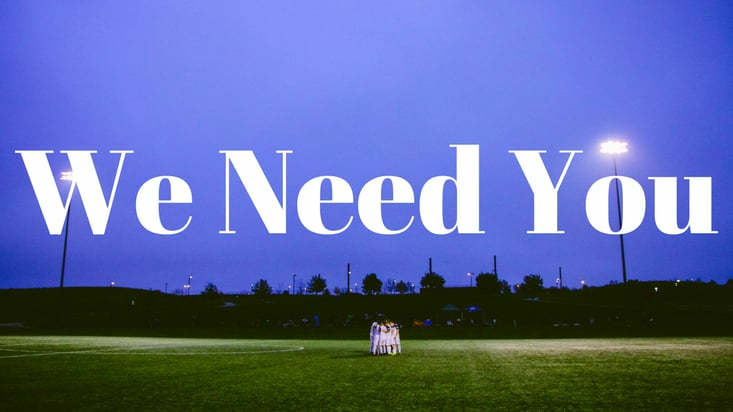 Your contribution will directly assist our team in reaching our goal; whether it be by paying for a players dinner, putting gas in our vans, or funding a hotel room. Your donations are the means to our success and are greatly appreciated by every player on our team, no matter the amount. We would not be able to travel without your generosity. Please support our passion for soccer and help us achieve the success we aspire towards on the national level. We want you to be a part of our road to a National Championship! Go Bruins! Soccer means everything to me. It means getting up early on weekends to see my favorite teams play in the Premiere League. It means long road trips with my friends to play tournaments far from home. It means working hard and pushing myself harder than I ever thought I could. It means so much more than just a game. It's hard to imagine life without it and I've never wanted to stop playing since I was seven years old. Through the ups and downs, I've learned a lot about the game, and also a lot about life in the process. It is and always will be my favorite sport because when I'm dialed in the game, there's no greater feeling than seeing all the hard work pay off in the end. I tried out for the club team my freshman year, nervous but excited. I've never regretted for a second my decision to be a part of this club and I'm thankful for the great group of guys who share the same love for the sport as I do. The memories we share on the road, in games, and at practices are some that I will never forget when I think back on my experience here at UCLA. This year's national tournament will make or break our season, and we play every game with that mentality. I want to win, but more importantly I want to have an awesome trip playing the game I love, win or lose. I'm excited to travel and represent my school in at Nationals and I can't wait to see us lift that trophy! Go Bruins! I don't remember a time in my life during which I wasn't part of a soccer team. I played on my high school team in the fall, futsal team in the winter, club team in the spring, and regional team in the summer. Going to practice every day and competing in matches on the weekends became a routine for me, a bit like doing homework every night except it was something I actually looked forward to. Looking back, the sport has been the catalyst to so many friendships I have built and memories I keep close from my teenage years. Coming to Los Angeles from Boston, I knew I wanted to keep playing. The Men's Club Soccer team has enabled me to do exactly that and I plan on being a member until I can call myself a UCLA alumnus. I can't wait to travel to Phoenix with all my teammates and take on teams form all over the country. The thrill of competition is the reason we all play the sport. Help us bring home the trophy! 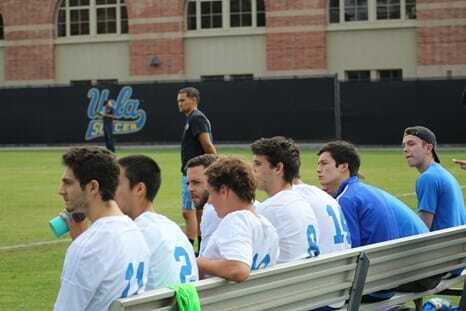 Out of high school, I was unsure as to whether or not I wanted to continue my soccer career at UCLA. 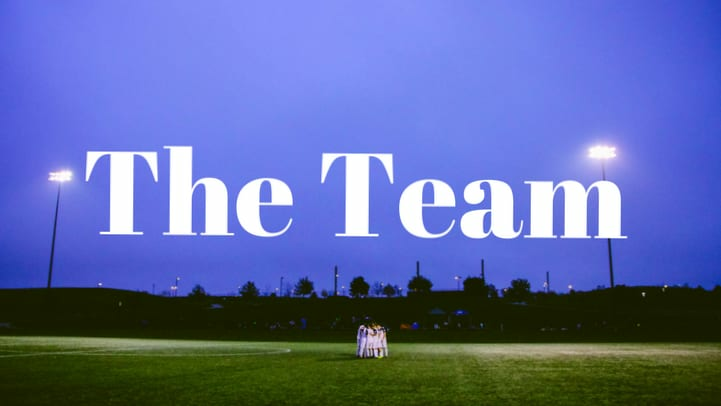 I had played competitive soccer since I was eight years old, and I felt it was time for a break, but once I played pick-up with some guys on the team my first year, I knew I needed to tryout. I had missed playing soccer too much, and it seemed like a group of guys I could really connect with and relate to. Over the past two years on this team, I can genuinely say this has been a great social and athletic outlet for me here at UCLA. The friends and memories I have made as a part of this team has made the commitment 100% worthwhile, and I enjoy heading out to practice during the week. I stepped into my leadership role of Vice President this year to become more involved with managing the team, and my commitment continues to grow as I have continued my time here at UCLA. Our fundraising is a huge part of the program that allows us to be such a successful club at UCLA, and the trips all over the country and the memories we make from these tournaments would not be the same without the support of our friends and family. Our fundraising campaign allows our team to compete in high-level tournaments each year, and through these tournaments we are nationally recognized and have maintained a reputation as one of UCLA’s elite Club Sports programs. We thank you for your donations and we hope to continue the great success that this team has encountered in recent years. When I started playing soccer at the age of four, I could not have imagined the impact it would have on my life. Through soccer I have been given the opportunity to see the world and interact with some of the most amazing people. The sport has provided me with so many great experiences, and taught so many life lessons, that I could never give back what soccer has provided to me. My hope as a coach is to pass on my knowledge and love of the game, giving others the opportunity to get as much out of the sport, as it has given to me. I am sure every coach thinks their team is special, but the past 6 years working as the head coach of the UCLA Men's Club team has been truly amazing. The team is a family built from hard work and dedication. Every year we push as a unit to become a better team and they help me grow to become a better coach. I am very lucky to get to work with such talented and driven athletes. Having a strong sideline support system can elevate a teams level of play and could give them that extra boost needed to win. You give us an edge over our opponents. Thank you for your donation! The game is all about connecting one pass at a time and building up a possession. You are the foundation of our team. We'll give you a shout out on our Facebook page! A good offense is worthless without a great defense. You just saved us a goal! We'll send you a thank you email on behalf of the team! While the goalscorer gets all the fame, the assister deserves just as much credit. We'll show you our appreciation by sending you a handwritten note signed by all of our players! The goalkeeper is the backbone of every team. You provide us with structure and defensive fluidity. Thank you for always protecting the back of the net! We'll send you a thank you video from the leadership of the team as well as a team picture from Nationals! The best defense in the world is not enough to win a game. You put us on the scoreboard. Your aggressive mindset and consistent finishing skills are invaluable to the team. We'll highlight you as a major sponsor on our website and give you all perks listed below!